Summer in Muskoka is always a busy time, trying to take advantage of the wonderful weather and so many special events. Visit Muskoka Tourism at this link to discover all there is to do in our beautiful area. Here’s what I’m up to the next few weeks! 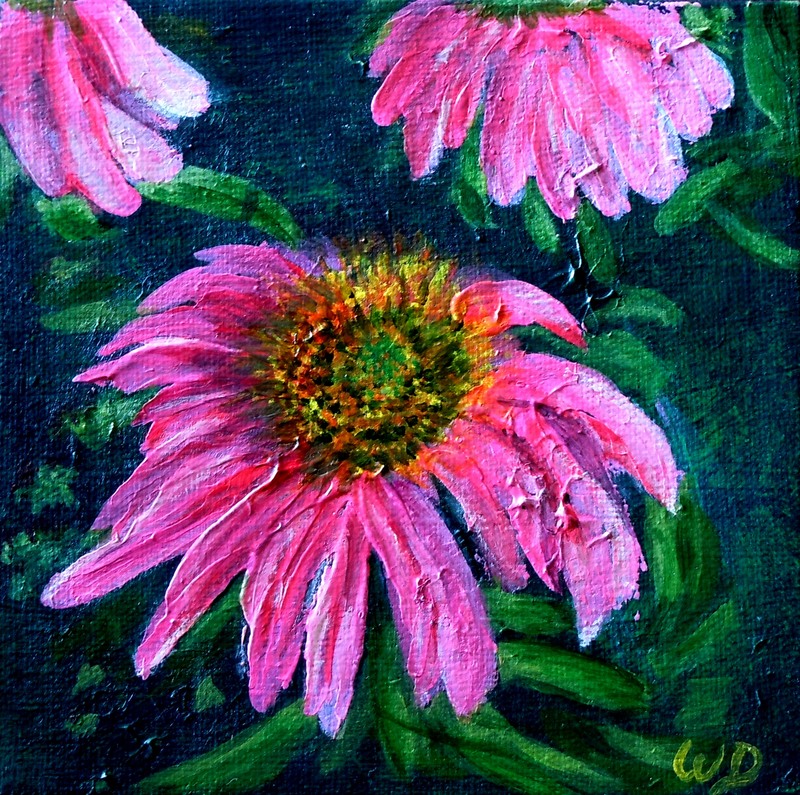 Still lots of planning and work to be done for a couple of art shows and two reading events. MUSKOKA FURNITURE‘S ANNUAL ARTS and CRAFTS SIDEWALK SALE! Local artisans will be displaying and selling a variety of hand-crafted items for home and cottage! 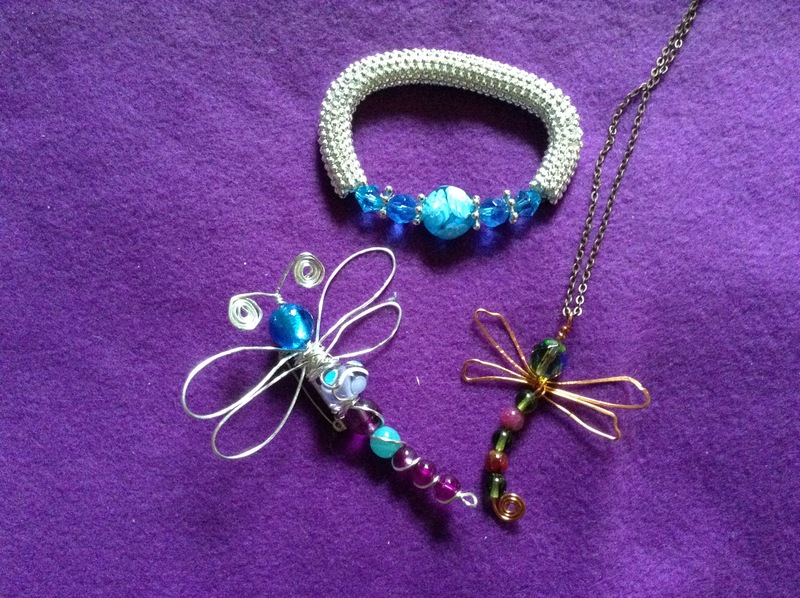 collection – designed and made by Carolyn Freedman and Wendie Donabie. Admission by donation. Proceeds to the libraries. Join us for two evenings of great entertainment with 9 talented writers at each event. These are the 2nd and 3rd nights of readings that started with the Haliburton event on July 15. Initiated 3 years ago by Melody Richardson, the writing groups from Haliburton, Baysville and Bracebridge have continued this summer tradition. This year all of the evenings are dedicated to Melody who died in June of this year. Her energy, enthusiasm and encouragement will be missed by all of the writers in Haliburton and Muskoka who had the privilege to know her. 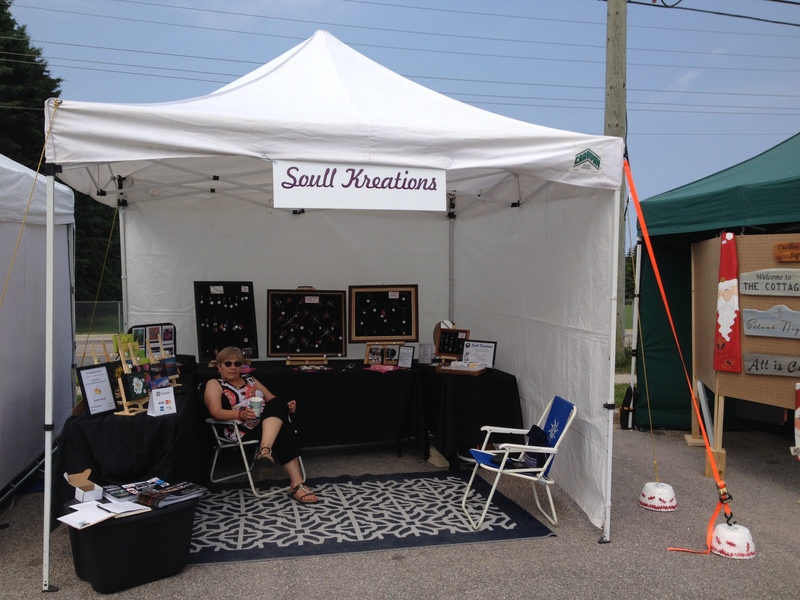 Carolyn Freedman and Wendie Donabie will be participating in the 29th Baysville Arts and Crafts Festival in Baysville, Ontario hosted by The Baysville Riverfront Group. Our SOULL KREATIONS jewellery collection and a selection of my paintings will be available for sale. The two-day outdoor event features unique and original work by artisans from all over Ontario. Admission to the park and festival is by donation with the proceeds going to the Baysville Horticultural Society. 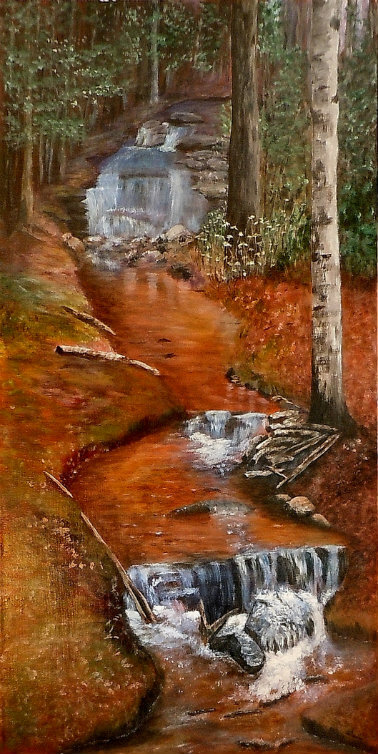 As of May 22 I will have an ever-changing selection of my paintings on display here in Bracebridge. Stop in for the best coffee roasted here in Muskoka and a menu of scrumptious sweets, breakfast and lunch items! You are a very busy gal. That is great! Love the Hidden Falls.